Oh Gods above and below! How long has it been since I last posted on A.I.? Too long! Three months is too long, how dare I call myself a blogger! If I don’t blog about it, how can I be sure it all really happened…? One of the things that loomed large on the “To Do List”, indeed, had several of its own lists, was the Tasmanian Pagan Alliance inaugural Beltane Event, held just north of Launceston last weekend. Yep, yours truly, sitting in the shade, perfectly captured mid-sentence talking about working with native flora and fauna because I totally needed a new forum to do that in. It was so fun! Which is lucky, because it was my first public pagan event (I know! How is that even possible, you ask!) and the first time I’d written and facilitated a public ritual. Whilst the ritual (particularly) and one casual workshop/chat were my babies, what blew me away was how hard a core group of people worked to get the whole thing to run smoothly, and so cheerfully! They kept people feed, topped up with coffee, tea and cold drinks, facilitated workshops, set up, cleaned up on the final day, and generated a fun atmosphere of jokes and sharing, which, really, to me, is everything Beltane ought to be. There was the obligatory Maypole, mead making, damper roasted in our ritual fire, crafternoon fun (so all the grown ups could channel the inner child, and did they!) drumming circles, marshmallows toasted on the fire, spellcraft and all laced with food food food! I really had a fantastic time with the small group of pagans, the majority from the north of the State, and I can’t thank them enough for the effort they put in. In amongst all the shared fun and chats and activities, I found some time to meet a new river, the Tamar, kanamaluka in Palawa-kani. Our camp was situated a five minute walk from the shores of the estuary, and not one minute from our ritual circle. During the ritual several times, I looked up at the shining water through the bush that surrounded us, and after, still feeling a little like I was walking beside my body, I went down and got my boots wet, as it were. It perhaps should not surprise me how noisy the world can be when we are in a receptive state. And post-ritual, for the first half an hour or so after, as I collected and packed away my ritual tools, and visited the Tamar, I certainly was. But I believe that state must also be connected to a deeper place of truth, true connection, belonging, and desire. For myself, the ritual was very powerful, but it was like many I have done before, an hour of drumming and chanting the name of the place I love and live, half offering in sweat and breath, half invocation in movement and sound. Hissing almost a dare for the powers of the watery places to inhabit my space, wiggling around the circle with my drum, only to find the world shift without taking me with it, a dare answered maybe, and I had to get closer to the ground to be sure I wouldn’t fall off. After, as I sat by the river I felt inundated with images and stories and a little overwhelmed. I can’t recall how long I sat there, though I don’t think very long, and all week since I’ve been jotting down things as they come back to me. Working with Land can sometimes be to work with such a huge complex of powers, that it throws up more options and answers and many more questions than what you might have set out to answer. In some regards, I think seasonal rituals with little to no “purpose” other than opening up that space, is the space where we can begin to explore powers that in future might indeed be great allies in a particular working. At least that is how it was for me, and is often. The work I did and planted in our fire, our sympathetic centre of the Earth, to take root, watered by the powers of the season, the River felt very powerful, and then the River threw up a whole host of other ideas and thoughts. 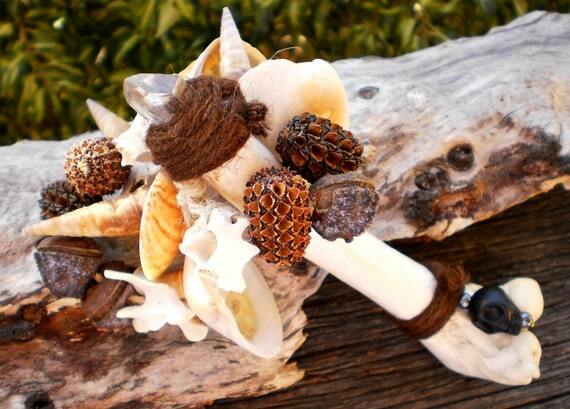 The morning following the ritual, we all headed back down to the shores of the Estuary, and set to float all the flowers and blooms that had adorned our feast tables, and our seasonal altar. I thought to myself how much I was already looking forward to the next time I could visit kanamaluka, I’ll have to remember to write a list of questions to let loose on the little foaming waves, and set aside more time to explore its shores. I hope others have enjoyed the season as I have! All photos in this post are available publicly on the Tasmanian Pagan Alliance Inc. Facebook page, and were taken (I think all here) by Mel Ell, TPA Committee Member, Launceston Moot Convener and Beltane Event Organiser (and my beloved sister in the Craft). 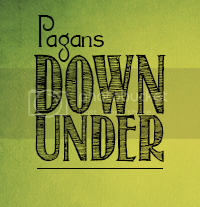 And, it serves nicely as my contribution to The Pagans Down Under 2015 blog ‘o awesome. Think maybe it’s time I caught up on some of those! Beautiful Blog Post 🙂 Glad you enjoyed it!